The average sale price for a home in the Clareview neighbourhood of Bannerman has slipped to $322,057 in 2016, that is off roughly $17,000 off of where Bannerman finished 2015. The highest price that a house has sold for in Bannerman this year has been $342,000. 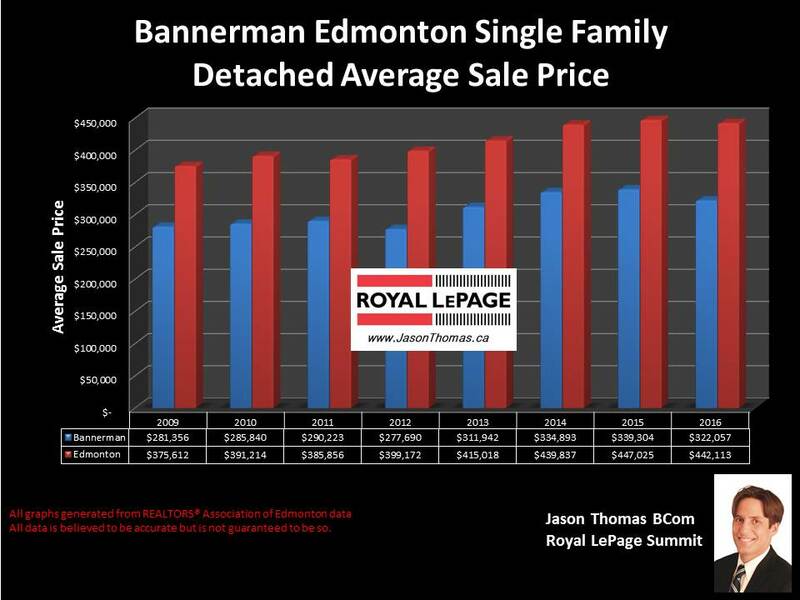 The average time to sell a home in Bannerman has been 38 days, this is faster than the Edmonton average days on market of 50. The average time to sell a home in Clareview in 2016 has been 46 days, with an average selling price for a Clareview home of $351,565.